Lions team-mates Owen Farrell and Jonny Sexton will go head-to-head when England face Ireland on Saturday for which could make or break England’s Grand Slam ambitions. Andy Farrell believe Saturday’s Six Nation crunch game between England and Ireland, will be a battle of the fly halves where we will see his son Owen Farrell match up against Ireland’s Jonny Sexton. The player that comes out on top could be deciding factor on which side will be victorious, both players are close friends but they’re friendship will be put a-side for 80 minutes when the Lions colleagues face each other. 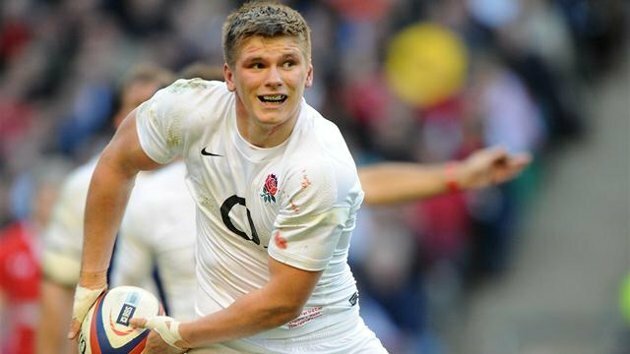 England want to keep the challenge for the Grand Slam on course, Owen Farrell will need to get the better of Sexton from the start. The England coach firmly believes his son’s distribution will be key and could be the defining factor in the outcome. He said: “It’s great on paper because of the friendship they have and the respect they’ve got for each other. “Those two boys know more than most it’s not just about them, it’s about organising the rest of the players to bring out the best performance on the day. George Ford is in line for his England debut as his looks to replace Brad Barritt, the England coach added: “Definitely George would be ready to play against Ireland. He’s comfortable in the environment. He knows all the plays and our systems and is comfortable with them.